Unless you’re really rich and have an endless survival cache of bug out guns and ammo, then you’re probably like the rest of us trying to make the best buying decision to ensure that you have the best opportunity to survive and provide for your family. So let’s try and answer a popular question – what’s the best firearm for survival? I’ve owned and shot firearms most of my life, like a lot of you, so I’ve had a chance to use them for work (law enforcement), hunting and target practice, and even as a grunt in the army. What I discovered is that it’s difficult to claim (fairly) that any one firearm is better than another. For example, I can find you 10 people right now who will swear that the AR15 is a better platform than the AK47, and the same is true for AK fanboys. In fact, I wrote an article specifically on which is better, the AK47 or the AR15. So now you’re asking, how do we find the best survival weapon then? Easy, actually. You define your threat, needs, capabilities and likes, and then start short-listing. Threat – Some people are making survival plans because they believe an EMP strike will kill the power grid, others believe a civil war is most likely. Still yet there are some who simply think that an economic collapse will cause an unbelievable depression forcing them to a primitive lifestyle. Whatever the case, you need to identify what it is that you think will be your greatest threat (what is it you’re surviving through). Will you need to fight off humans, hunt large game, kill zombies, hunt small game? The point here is that if you’re trying to find the best survival weapon then it implies that you’re going to be limited to one gun only. If self-defense is a top priority then you’ll likely consider a .223 (5.56) over a .22, and over larger and more expensive .308 rounds, for example. For me, my greatest anticipated threat is finding food for the long-term; watch any depression-era video and you’ll see what I mean. Needs – For example, I know that I place the need to put food on the table really high and so a rifle that shoots expensive or hard-to-find ammo is out because I’ll be hunting and shooting a lot of ammo. I also expect that I’ll be hunting smaller game more than larger game, so that rules out large-caliber guns. I’m not anywhere near a large city so I won’t be as pressed for personal protection (probably) as many other people might and my need outweighs my perceived threat. I personally opt for a .22 long rifle as my round of choice for a survival weapon. Why? Because if the rifle I choose ends up being my only one, and I chose a 30-06 (which I truly love), I will have a difficult time hunting rabbits and squirrels, some of the easiest to kill and most common meat in North America (shoot a squirrel with a 30-06 and you’ll know what I mean). Also, I’m a rare bird in that I think and believe that a .22 can be a decent (be clear, I said “decent”) self-defense weapon. If I ding a round off of your shiny, silver-plated front tooth I doubt you’ll keep kicking on my door. I’ll at least have time to wipe and consider plan B. Capabilities – Some people aren’t physically capable of handling too large of a weapon, either because of their frame size, a disability, age, etc… Because of that it matters a lot what you can handle. In our family we have a plan that each person has one survival weapon they’ll carry in a SHTF situation. Some people might opt for a .20 gauge because of it’s all-around capabilities and lighter than .12 shooting, smaller shell size than the .12, and better range and power than a .410. One person in our family will carry a .20 gauge. You can take a deer (or human) at distance fairly easy with a slug, and most game in the United States with that one shotgun. But you get the point… smaller children who are gun-carrying age (whatever that means in your family) might carry a .22, a .410 or whatever you feel best suits their “capabilities.” You don’t want someone you love being injured by baddies in a jamming or malfunction situation that they can’t clear; a 12-year-old can carry the AR, yes, but are they really capable of clearing a malfunction under-fire and getting back into the fray? If so, rock on. Think about everything when you consider capabilities. Likes – The reason this is an age-old question that doesn’t have a single right answer is because there is just too much involved in it… it’s a personal thing. 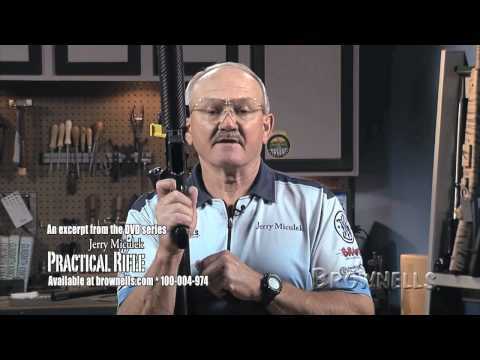 If you’re in the same camp as I am and think that the best survival rifle is a .22 LR then you might also want one that is as light and portable as possible, freeing up room for more ammo, supplies, whatever. I’ve written about these types of rifles over the years, and it comes down to what your plans are. For me, what I like and what I want is a situation in which I can carry everything I need to live on my body in a pack, as a matter of fact it’s this one at Amazon because it lets me carry wood and meat on the metal frame as needed, and I love the brand. Because of my survival plans and likes, weight and size are critical. Yours may be different if you have a cached supply and bug-out location, or live in a city where you will need more defensive power to get out of Dodge. So you see, there isn’t a real answer to this despite what you were hoping. What I will do is present what I believe are some top options in a few different categories from ultra-light like me, to the do it all types who want the versatility of a .20 gauge, to the ones who believe in the capability of the AR rifles to do most everything and do it well. First, here’s one of the new guns for survival that I really like and hope to own soon. It’s the “Pack-Rifle” by Mountain View Arms and there’s a couple of things to know… 1) it’s not easy to find because there are only a handful of U.S. distributors right now, and 2) it’s on the pricey side with a MSRP at $425. But if you want a less than one pound .22 LR for survival or ultra-light packing then this is it! Let’s watch as Ryan bags a Grouse with this little bad boy, my pick of the best firearm for survival. After you watch the video you can see my full review of the ultralight Pack-Rifle here. Next up is the AR15. It’s one of the most popular rifles in the United States and according to many it’s one of the best survival weapons to own. Some people fear all-out pandemonium and the need to fend off wolves and zombies and lawless thugs. Other than the zombies, I think that it’s plausible to think that they’re right. As long as you can find a way to carry enough rounds to feed your rifle and last you for the long haul (or have some strategically buried- you do have some, right? ), then the .223 or 5.56 AR platform is a good choice because you can do almost everything with it. In my case it’s a very tough call because I considered with all seriousness the weight of the AR and ammo and did the math on what else I could carry if I choose a different survival rifle to own. The article on the Best Rifle Calibers has info on the weight per round issue. 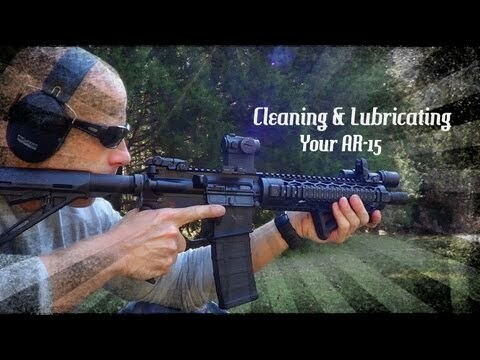 If you go the AR15 route (well, actually regardless of which route you go make certain the firearm is in tip-top shape and ready to roll today) then I urge you to take a look at this article at Defense Review titled The Big M4 Myth: ‘Fouling caused by the direct impingement gas system makes the M4/M4A1 Carbine unreliable.’ and see how simply adding better springs and buffer can allow you to fire up to 2,500 rounds, dry, without a single malfunction. It’s true! A lot of people swear by the shotgun and think it’s the best survival rifle when America collapses because of its true versatility. As stated previously, you can go with a light load and hunt birds and small game all day with this one rifle, or throw in some 00 for defense, or a slug for more defense or big game hunting. What? Was that you laughing? 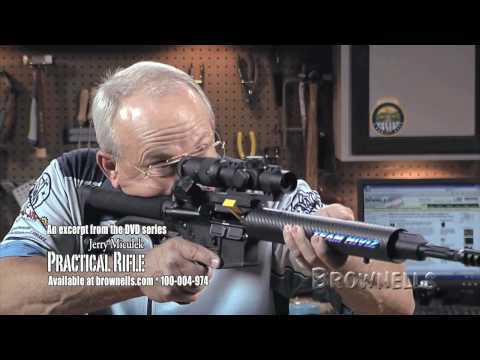 Check out Sarge plinking it out to 100 and 200 yards with iron sites and slugs. If I had to pick one light and affordable .20 gauge to recommend then this one would be it… a real high-quality beast that will pack easy and shoot straight! You can get it in pump-action as well. Pistols as a survival weapon. In a survival situation I would not recommend anything other than a long gun. That being said, some people for whatever reason need or want a pistol and are asking around the forums for the best survival .22 pistol. Again, I don’t recommend it, but your situation using the criteria outlined earlier might dictate this small-caliber pistol. If that’s the case you’ll need to consider something high quality and not a cheap knock-off… there are a lot of bad choices you could make with .22 pistol. But there are some great ones, too. If I were pressed to recommend the best survival 22 pistol it would be the SW M&P22. While .22 revolvers are inherently reliable, this semi-auto M&P22 has also shown itself to be very reliable, very fast and surprisingly accurate. And sells at around $400 MSRP. Check out this video and see what I’m talking about. I would sleep at night even if this was my only survival firearm (though it’s not my preference). In this article I’ve tried to open the floor for debate and make it clear that there isn’t one best choice. Everyone has to think about all of the moving parts that might exist in a survival situation and at the end of the day, any weapon can be a great survival weapon if it’s in good working order, you have plenty of ammo, you’ve trained with it and know how to use it effectively. There is a growing number of people who feel like I do, that a .22 can be an awesome survival choice. It requires us to set aside the manly connotations of an AR and think this through, fully considering the long-term and what the implications of it all are. How long will your ammo last in that real-world scenario that you’re prepping for? The cost to stock up on ammo. And more. The point of a site like Gun Sources is enjoying the interaction with people just like us, and through that we all learn and grow and become better prepared. What are your thoughts on this article and what is your idea of the best survival weapon to own? And have you shared this article yet? One click helps so much, thanks for your support.